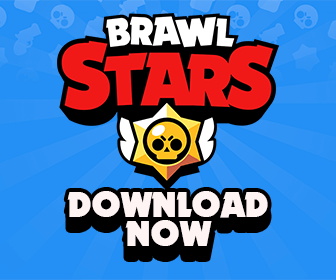 The new big update is finally here guys! 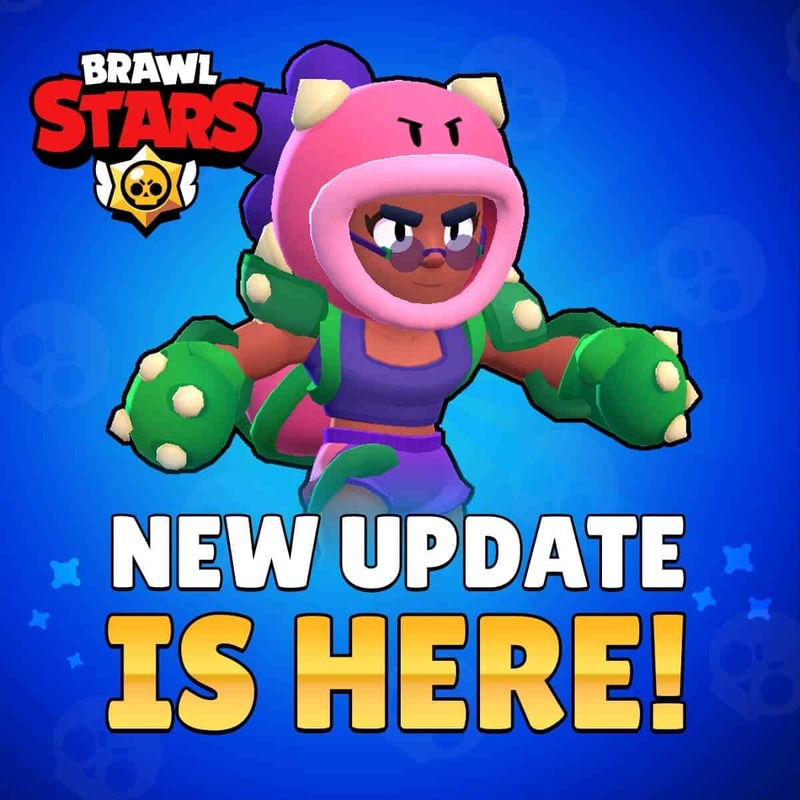 Let’s take a look at the new changes in this update, including new Brawler (Rosa), new Skins, new Maps and a lot of other stuffs! 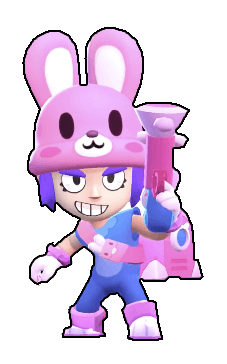 Brawl Stars April Update is Here! Main Attack (Hands of Stones): She quickly throws 3 fan attacks to the enemies. Star Power – (Plant Life): Rosa gains 300 HP per second by just hiding in the bush! Meteors now target groups of players to prevent teaming. Energy Drinks and Mushrooms are now less likely spawn near groups of players. Frank’s Super now can stun the IKE for only 1 second. Golden Week Event (Coming Soon). New Music and Background. Some buttons on the Homescreen are not moved onto the Menu. Brawl TV now shows high-level gameplay lives! Training Cave is now available to play and test all new Brawlers. You can get into it from the Brawler info screen. 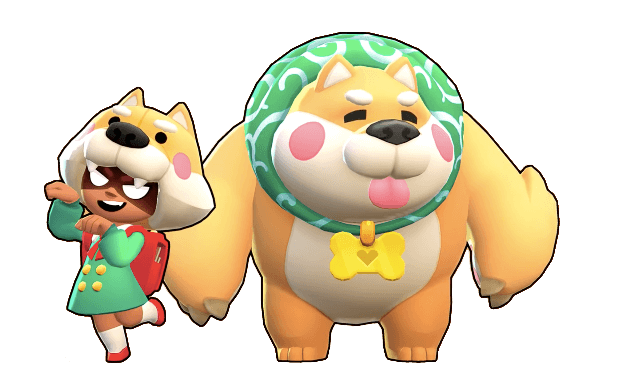 Players now can purchase Name Change with Gems – 0 Gem for the first change, the next ones cost 60, 90, 120, 150 Gems. Teams now will have a slightly more difficult matchmaking. Color Name Tags now removed. Players now can pick name color from the profile screen. New Poor Connection Symbol Display during the battle. Super’s button tappable area increased. The second Gem in Gem Grab now spawn slightly later. Robo Rumble: Fixed the issue when the enraged melee robots do not hit the Safe. Brawl Ball: Fixed bugs that caused the Ball bouncing from broken walls. Brawl Ball: Own goal is count to the last player of the opposing team touching the ball. Brawl Ball: When Penny’s Star Powered Mortar is now no longer shoots out cannon balls after a goal. Fixed the issue causing players cannot accept/reject Game Room Join Requests. Fixed the bug causing new Club members being shown as <1 month ago>. Fixed the bug causing Club member statuses not updating instantly. Unreleased Brawlers’ tips are now hidden on the Matchmaking screen. Fixed bug causing the Super button got stuck down. Brawlers still can spawn Pets even if they die while activating the Super. Main attack damage increased from 280 to 300. Super damage increased from 280 to 300. Poison damage increased from 70 to 75. Carl’s Super now can be affected by Stuns, pushbacks and pulls. Carl now doesn’t have the a reload animation when he spawns. Carl’s Pickaxe now returns even if Carl dies. Fixed bug causing Carl being unable to reload after getting the pickaxe back. If the pulled enemy dies during being pulled, the hand will no longer destroy environment. The target cannot be pulled again while being pulled.